Whether you’re planning a three-mile hike along the outskirts of Glacier National Park or a 30-mile hike through the Grand Canyon, bringing the proper hiking gear is a necessity. After the initial excitement of "going out and roughing it" wears off, many hikers are hit with a sense of nervousness. The realization that you’ll depend on the contents of your backpack while on your adventure through the wilderness raises many unsettling questions of what to bring. If you bring too much, you’ll slow down your pace, run the risk of injury, and probably decide to call it quits due to physical discomfort. If you bring too little, you may starve, become dehydrated, or freeze. This psychological discomfort may convince you to quit before you have even started. 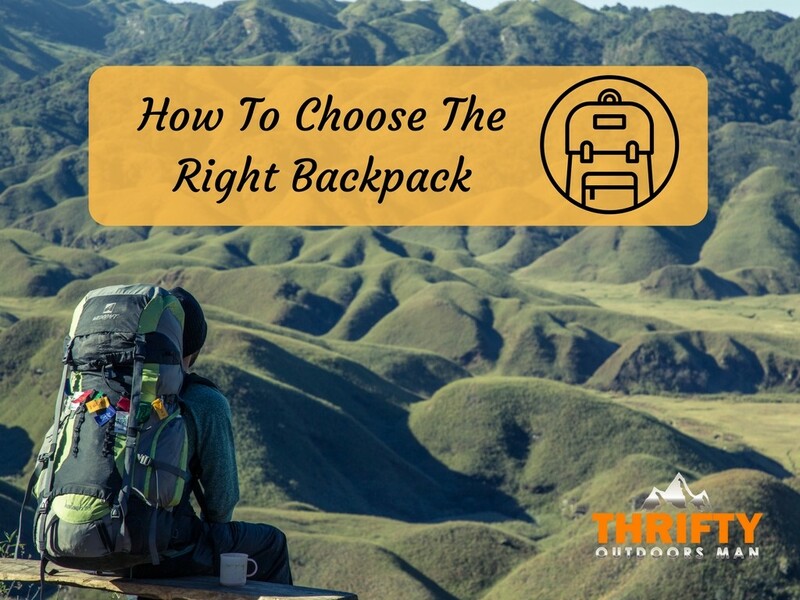 Even though the ideal backpack will change, from one person to the next, packing the perfect backpack can either make or break a hiker. Deciding on the right stuff can become very daunting and overwhelming. What should you absolutely bring? 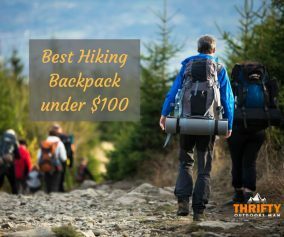 In the world of hiking, the core necessities are known as the 10 essentials. 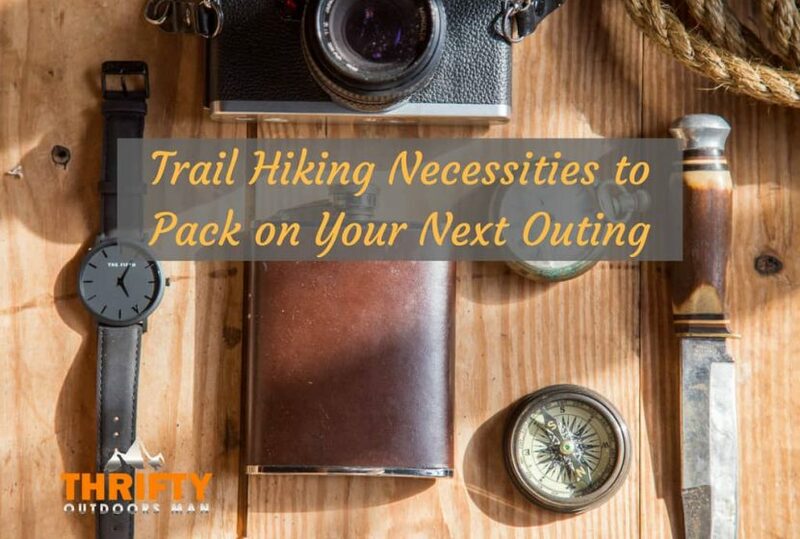 Let’s take a look at what you should consider when packing your backpack for your next outing. Typically, it is thought that when hiking you must wear thick, heavy, leather boots. In recent years more hikers are opting for trail runners instead of boots. Sometimes it depends on the season and the terrain, though most hikers are leaning toward using trail runners regardless of the circumstances. They dry faster and cause fewer blisters and are much lighter than boots, allowing the hiker to cover more ground much more quickly. Hiking boots, trail runners, and sneakers are all fine for a day hike. Brand new shoes are not. Make sure you break in your new shoes before wearing them out on a hike. Just purchased footwear can mean blisters, which will end a hiker’s adventure quickly. While different types of shoes vary in the amount of time to break them in, it would be best to slowly work them into your everyday activities. For a few days, wear them around your house and neighborhood. Leather boots may take up to a few weeks to break in. Maps give the greatest detail about the surrounding terrain and can be the best tool to prevent getting lost. Often, you can get one for free. You must learn how to find your location based on landmarks and trail junctions. You may want to practice this even if you are just hiking on a small, well-marked trail. Learn how to use a compass. 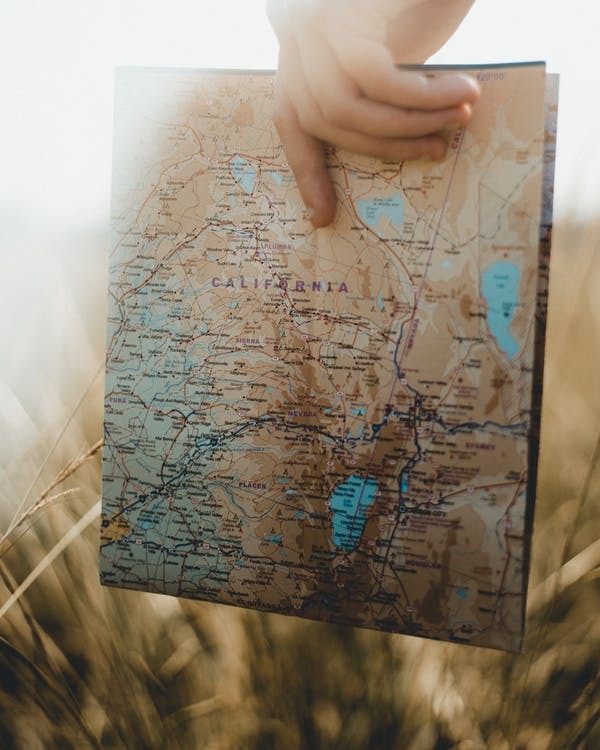 Locating North is easy and will help orient you with your map so you can figure out where you are. 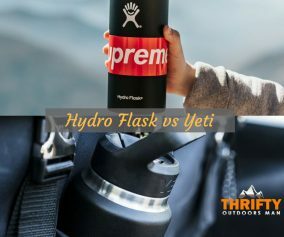 When you are hiking, it is vital to bring water with you and to drink it often. If you go on an all-day hike, it's best to take a water filter and possibly some chlorine dioxide tablets. 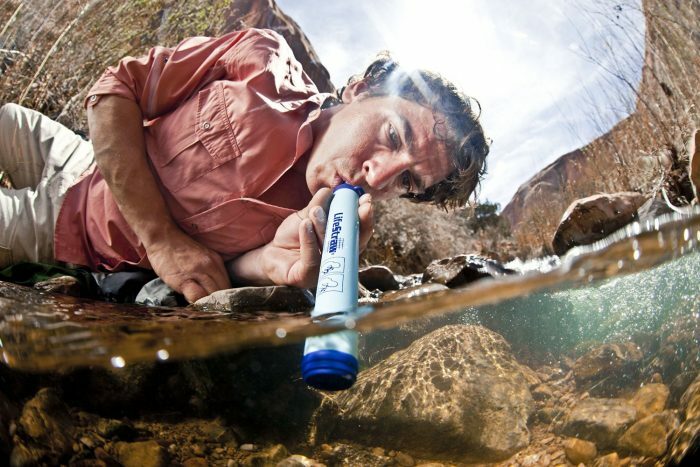 This will enable you to drink clean water from a lake or stream safely. How much water you need depends on several factors, including your own physical needs and the outside temperature. Some carry one liter for every four miles. Use a reusable water bottle or hydration reservoir to keep hydrated. Weight matters. When it comes to packing food, pack calorie-dense foods. Look for foods with 150 calories/ounce of weight. Nuts and granola bars are great options. New hikers usually bring too much clothing. 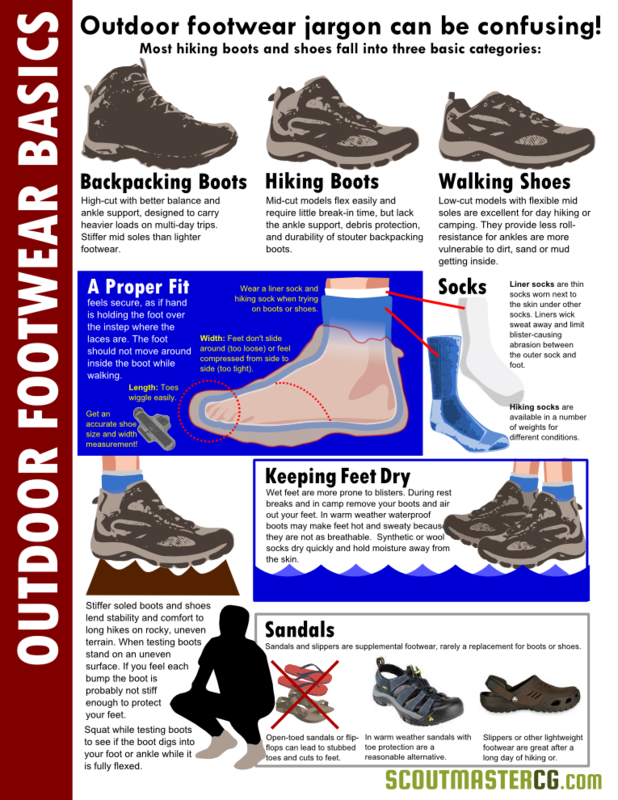 Hikers need what’s appropriate for the weather conditions they’ll encounter. Anything beyond that is superfluous and will be a burden. Dressing in layers will allow you to adjust to the different conditions. Never wear cotton. Cotton tends to absorb moisture and keeps it on your skin. 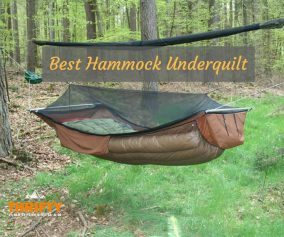 It does not insulate well, and it retains odor more than other materials. Cotton will put you at a higher risk for hypothermia. When it comes to cold weather, down clothing is lightweight and provides excellent insulation. When purchasing clothing suitable for hiking, look for synthetic and/or wool. Be sure to choose durable materials from reputable brands. If you unexpectedly end up having to spend the night out, you should be able to make a fire. Practice making a fire and have a means to reliably light one if needed. If you don’t have matches, the most reliable way is to have fire steel. You should always carry a flashlight or headlamp with extra batteries so you can walk after dark should you become delayed for some reason. It’s important to bring a few first aid supplies along for you or the other people who are hiking with you. The easiest thing to do is buy a small personal first aid kit. You can also assemble your own for a lot less. You don’t need to carry a huge knife with you. A small knife for cutting strips of cloth for bandages will suffice. Probably the best option is to carry some type of Swiss Army Knife. This will enable you to cut cloth or small branches, remove splinters, or repair eyeglasses if necessary. Bring some type of sunscreen to prevent sunburns while you are out in the open. Depending on the conditions of your hike, consider wearing a hat and carrying lip balm. Sunglasses are also important in the summer and the winter. The winter sun tends to be very bright and, if there is snow, they will help prevent temporary snow blindness. If you are hyper-sensitive to the sun, consider special sun-proof clothing. Many beginning hikers tend to get a large pack and fill it. This isn’t always the best idea. When looking for the right pack, there are a few things to consider. The pack fit is extremely important. For day trips, a backpack in the range of 16-24 liters will work. If it is a multi-day hike, get fitted for a pack at an outdoor retailer. 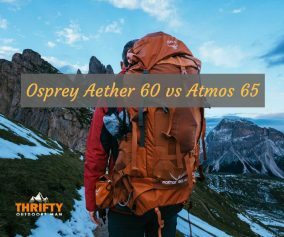 Multi-day packs usually range from 50 to 70 liters. You will usually want to avoid packing more than 25% of your body weight. Look for packs that have several external stretchy pockets and some internal storage compartments. You can keep everything you need for the day on the outside stretchy pockets, such as water bottles, snacks, maps, and a light windbreaker. Everything else can be organized inside the pack. Different packs are built for different bodies, so consider backpacks that are specifically designed for men or women. Check out packs with a supportive hip belt. This will help avoid discomfort over the long haul. If the weight in your backpack is pulling on your shoulders for several hours, your hiking experience may end up being cut short due to back fatigue.